One of the most beautiful places in Sedona, L'Auberge de Sedona is nestled on the banks of Oak Creek. 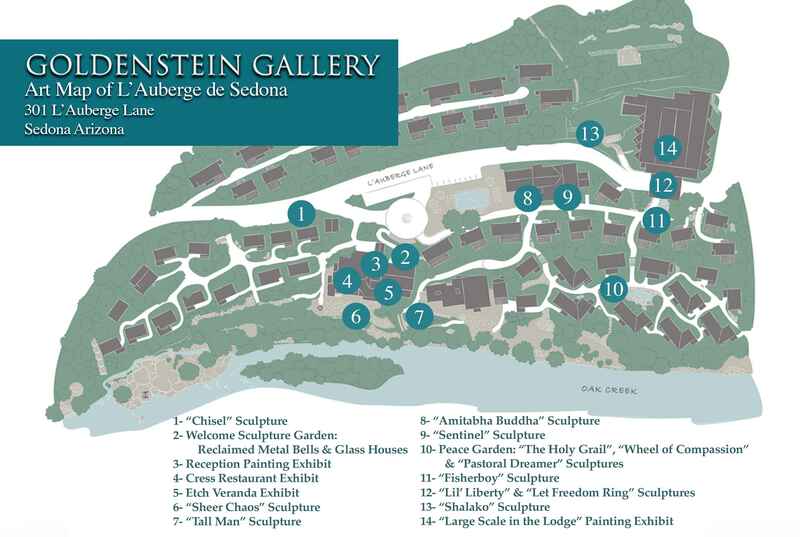 The lush grounds, entrancing sound of the creek and first class dining is the setting of our Goldenstein Artists in Residence at L'Auberge. Guests are able to watch as they paint or sculpt works in progress. A wide variety of mediums and styles ranging from pointillist painting to clay and wax sculpting for bronze casting will be featured. The artists will interact discussing their pieces and answer any questions.